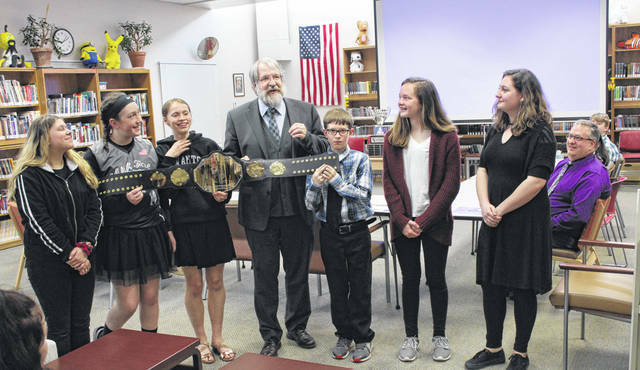 Ohio Superintendent of Public Instruction Paolo DeMaria competed against Swanton sixth grader Logan Young in identifying the 50 states during his visit to Swanton Middle School Friday. 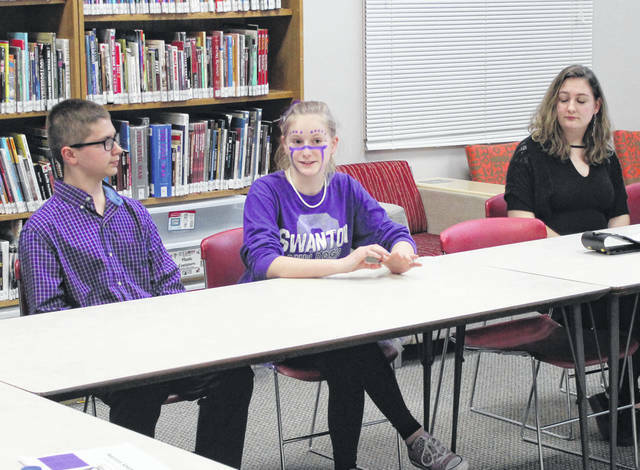 Swanton seventh grader Makaila Levin, center, discusses her experiences with the Swanton Seven Initiative to State Superintendent Paolo DeMaria. 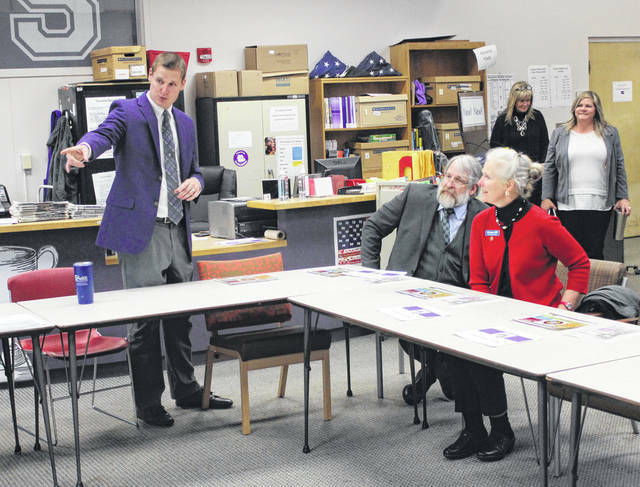 Swanton Middle School Principal Matt Smith, standing, introduces a presentation on the Swanton Seven initiative to State Superintendent Paolo DeMaria and State Board of Education member Kirsten Hill, both sitting, during their visit Friday. Ohio’s Superintendent of Public Instruction Paolo DeMaria visited Swanton Middle School on Friday to tour the school and learn about the Swanton Seven Initiative. He also visited the Collaborated Welding Classroom at Swanton Welding. Pictured above, DeMaria was named honorary member of the Dignitas House, current points leader of the Swanton Seven competition. Ohio Superintendent of Public Instruction Paolo DeMaria visited Swanton Middle School on Friday to tour the school and learn about the Swanton Seven Initiative. He also visited the Collaborated Welding Classroom at Swanton Welding.